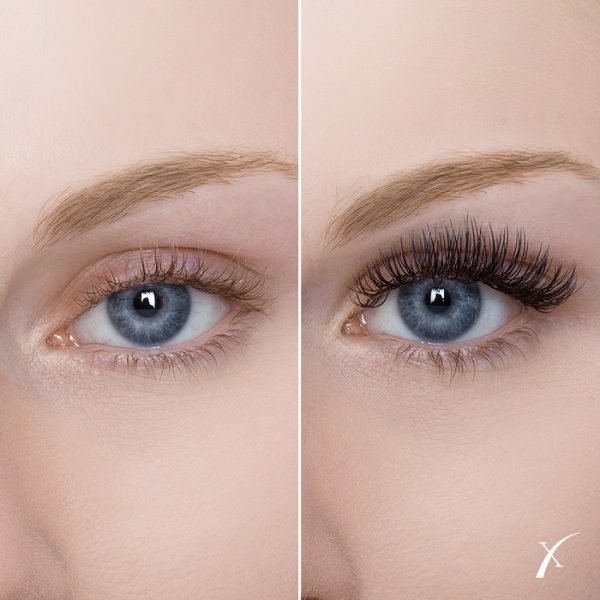 You’ve just received eyelash extensions from a Certified Xtreme Lashes® Lash Stylist and they look amazing! Immediately after seeing yourself in a mirror, you may wonder how you can prolong this beautiful lash look. The answer is simple: perform correct aftercare. Avoid exposure to excessive steam or water. Avoid spray or airbrush tanning. Avoid wearing or inserting in contact lenses. 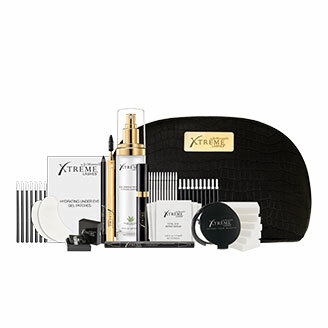 Avoid using non-Xtreme Lashes cosmetics and skincare products that may come in contact with your extended lashes. Avoid using waterproof cosmetics (i.e. mascara or eyeliner) on or near extended eyelashes. Avoid using mechanical or heated eyelash curlers. Avoid using an eyelash sealer or mascara if your eyelash extensions were applied using the Volumation® technique as this may cause clumping or loss of volume. Avoid excessive exposure to friction, excessive rubbing of eyes, and picking/pulling on extended eyelashes. Avoid chemical eyelash treatments such as eyelash tinting or perming. Strong chemical peels or skin resurfacing procedures that come in direct contact with the eye area. Facial treatments and facial massages that include direct contact with the eye area and extended eyelashes. Always inform your esthetician or medical provider that you are wearing eyelash extensions before any facial procedure begins. Xtreme Lashes Eye Makeup Remover & Facial Cleanser – A soothing aloe vera juice-based formula with six botanical extracts to nourish lashes, brows, and skin. Protective Coating – Extend the life of Single-Layer™ eyelash extensions with a unique formula that coats, seals, and protects the attachment area from water, humidity, tears, oils, perspiration, makeup, dust, and debris. Do not use if eyelash extensions were applied using the Volumation® technique. Lint-Free Applicators – A cylindrical-shaped applicator that is ideal for cleansing and styling eyelash extensions. Flex Tip™ Applicators – A flexible silicone paddle-style applicator that gently massages the eye area as it cleanses lashes and brows. Long-Tipped Applicators – A slim, long-tipped brush that provides precise cleansing of the lash line and in between eyelashes. Cosmetic Sponges – Lint-free professional cleansing sponges, essential for targeted and all-over cleansing of the eye area and face. Deluxe Retractable Lash Styling Wand – An elegant retractable brush for grooming and styling eyelashes and brows at home or on the go. Mini Fan – This compact-sized fan can be used to quickly and gently dry, fluff, and style your eyelash extensions into place. Aftercare Collections – Three Lashista® aftercare collections created by Xtreme Lashes Co-Founder & CEO Jo Mousselli RN, containing everything you need to properly cleanse and maintain eyelash extensions and enhance your beauty..
To find an Certified Xtreme Lashes Lash Stylist near you, please click here. To shop our entire collection of eyelash extension compatible color cosmetics, skincare, and accessories, please click here. Eyelash Primer – A must-have or nice to have?